Did you ever watch Maya The Bee cartoon on television when you were a child? I did and I did so love the cartoon. 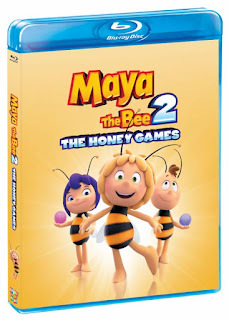 Maya The Bee 2: The Honey Games is a fun and cute movie for the entire family and I promise you it will keep everyone entertained. I am giving this 5 out of 5 stars. I haven'seen the first movie. I'll have to buy it if I win!